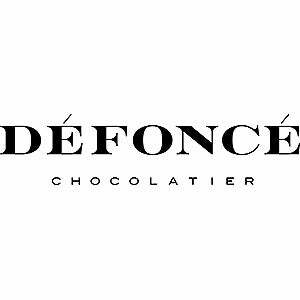 At Défoncé, artisans with years of experience at fine chocolate manufacturers now devote their spirit and savvy to the places where chocolate and cannabis meet. These artisans use sun-grown, single-origin cannabis and incomparable chocolate ingredients to craft infused chocolate bars, which come in a range of flavors, containing 90 mg of THC. The biggest misconception is the reality of what is needed to operate a cannabis company in California in 2018. The halcyon days of growing cannabis without testing and making edibles in home kitchens ended after new regulations were adopted. The reality--for successful operators today--are meetings about compliance, standard operating procedures, and scaling your business. Operating a compliant business in the cannabis industry is expensive. Previously, entrepreneurs could have started an edibles company or small outdoor grow for $300,000. Today, it's closer to $3 million. We don't see ourselves as innovators in the cannabis industry. Rather, we are determined to normalize our operation with best-in-class CPG companies. So, our ambition is to have good manufacturing practices and pristine facilities, create interesting and beloved brands, and focus on continually growing our product offerings and distribution channels. The biggest hurdle was not chasing sales prior to adult use. We started the company in 2014 with the goal of servicing the adult-use market. At that time, it was all about dangerously high potency, and there was no sense of branding, consistency of dosing, or quality products. Bar none, it's creating brands and products. We love the process, working with creatives--we even love press checks. Knowing that in five years, the brands we've created will represent 80 percent of the edibles market. We're continually inspired by this goal.